The top five includes the biggest stars in country music. There’s a little subjectivity here, but that makes it unique to Country Music Life. I’ve tried to include a little mixture of all artists, but in the end I ranked the songs by the music I liked best. Here is the list. Please share your thoughts on the top five. This list has to include Taylor Swift. She’s a phenomenon. Over the last five years there is probably nobody bigger in all of music than Taylor. She’s released these huge, huge albums and her singles are everywhere. Taylor has been out on the road with one of the biggest shows of the year. Her album, Speak Now, came out last fall and has been selling enormous amounts of records. The album sold over a million copies in the first week. In today’s world that’s unheard of. Taylor is the biggest name in the business. Speak Now is her best work. There is no doubt it belongs in the top five on the countdown of the best albums of the last year. There is no stopping Taylor Swift. If this was a countdown of the most surprising albums and stories of 2011 then I’d have to put Eric Church and his album, Chief, on the top of the list. Eric surprised everybody except perhaps himself when Chief debuted at #1 on the Billboard 200 chart. That’s the all encompassing album charts that includes every genre. Eric was at the top of the music world for one week of the year. There used to be a time when country artists had a difficult time doing that. Eric Church is an interesting story. He went about becoming a star his own way. He didn’t really do what just anybody told him. He stayed true to the music he wanted to make and is now reaping the rewards. Today, Eric is truly a superstar in country music. His singles are starting to rise faster and his fanbase continues growing. He’s a headliner out on the road and a headliner on the charts. 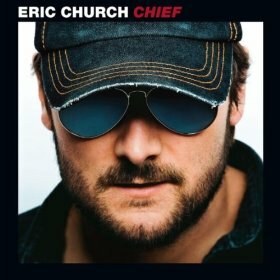 Chief is full of great country tracks and is definitely one of the best of 2011. Lady Antebellum is a superstar band. Over the last three years the trio of friends has become one of the biggest acts in all of music. In early 2010, Lady A released their sophomore album and the lead single, Need You Now, shot to the top of the country and pop charts. The band became stars. Flash forward to just a few weeks ago and Lady A released their third and probably even bigger album, We Own The Night. The lead off single, Just A Kiss, has already gone to number one on the charts. The title track is working its way up as the second single from the collection. I’ve had the chance to listen to this album a few times and it’s really good. If I remember correctly, a few of the songs are a bit slow, but there is more than enough pep there to keep things interesting. The band knows who they are and they have a great quality about them. They can tell country stories from both the male and female perspective. It’s a great dynamic and it’s obviously working for them. It was a close call, but Chris Young couldn’t quite reach the top of the list. When I first had the chance to listen to Neon it was a revelation. Not since the early days of the ’90s had I heard a complete album quite like this one from Chris Young. The entire record is full of songs that remind me of the traditional stylings of Alan Jackson, Garth Brooks, and Clint Black. That was my favorite era and Chris Young seems to be bred from the same classic sound. There are plenty of upbeat songs on this album that should make for some solid singles. Chris already has the first song at the top of the charts and the second is well on its way. 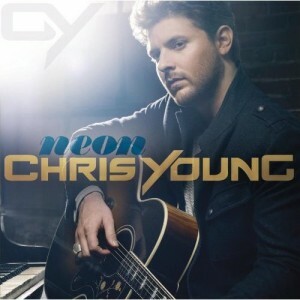 Chris has been one of the biggest stars in country music over the last year and even though this album was released just a few weeks ago it’s still one of the very best of 2011. If you haven’t heard this record yet and you love country music in the vein of John Michael Montgomery and Mark Chesnutt this album is for you. 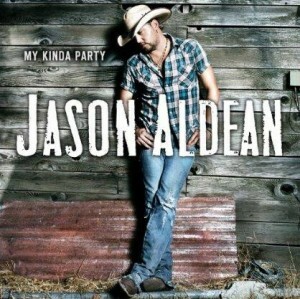 Last November, Jason Aldean released his fourth album. On his previous album, Jason had taken his career to superstar level. He was starting to headline tours around the country. His singles were racing to the top of the charts and the pressure was on for the fourth record. My Kinda Party, the single was released in the early fall of 2010. The song shot to the top of the country singles charts just as the album of the same name was ready for release. My Kinda Party was released in early November. It instantly became one of the biggest selling records of the season. More singles followed and as people dug further into the songs on the record everyone realized that Jason was really pushing the envelope of his artistry. The result was truly the biggest record of the last year. The first single went to #2 on the charts. The second and third single both became number one songs and Dirt Road Anthem became the biggest single of Jason’s career. I’ve been playing this entire album over and over. My one fear is Jason will be forced to move on to the next record without releasing more singles. There are certainly songs worthy on this record. It’s the best.